Gracie Barra is the number One Stop for Montreal Self Defence and that of Course Includes Women! You’ll notice a very positive and friendly environment when you enter our school. Although martial arts can be intimidating for women, our school in montreal definitely isn’t. You will find a group of girls who are excited to be there and excited to have you there. The instructor will run several basic drills and after a few classes you will catch up with the rest of the group. Once you master the basics you will really enjoy the intensity of a jiu jitsu class based on effective self-defense techniques and real life scenarios. Our team is friendly and welcoming enough for women to just join regular mixed classes. Yet, We do also offer a women only jiu jitsu private and semi-private classes. Contact us for more info. Should a girl know how to fight? Why should a women be part of Gracie Barra Montreal Jiu Jitsu? Aside from all classes offered in the Gracie Barra Program Structure for adults (see schedule), our school offers private classes designed to introduce women to the art of Brazilian Jiu-Jitsu. As a martial art developed to allow the weaker to defeat the stronger, BJJ is a perfect fit for women who are interested in learning how to protect themselves ? And who wouldn’t be, right? The Gracie Barra Women’s Program combines a comprehensive self-defense curriculum with emphasis on techniques that can be realistically used against a stronger opponent. The techniques are complemented by a strong fitness component that is comparable to classes offered in regular gyms. And a lot more fun of course. Classes specially designed for women like Self-Defense, Anti-Bullying (yes, adults get bullied too), BJJ Conditioning and social “get togethers” are added benefits to the ordinary activities and create a strong bond between the members of the Gracie Barra Jiu Jitsu Team. 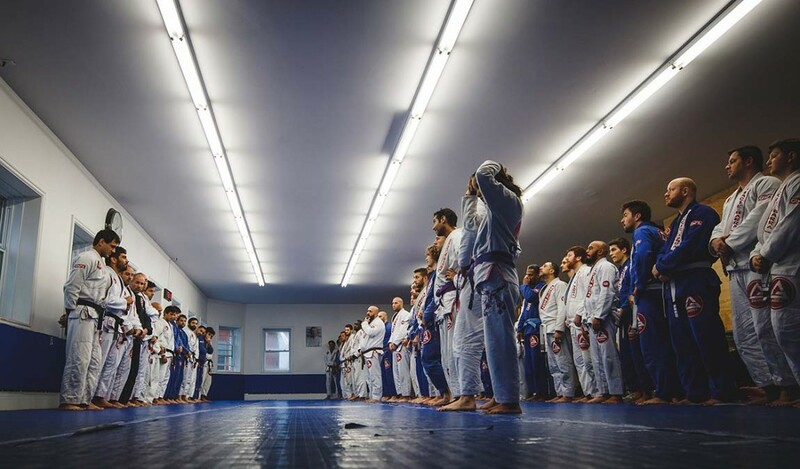 Gracie Barra Montreal is located at 3975 Notre Dame St. West in St-Henri – Montreal. Call us or just drop by and experience the difference.